Growing a large, engaged mailing list is one of the primary goals of my business. Sometimes, however, you have to delete existing subscribers in order to get new ones. It sounds a little bit weird, right? In today’s post I’m going to talk about why I might be deleting so many subscribers, and why you might want to think about deleting some as well. We’ll investigate the problem right back to it’s root cause (and look at all the clues along the way) so that you can see if there might be something going on with your list too. Warning: make sure you read to the end before deleting any! This should be fun. Why do we put so much effort into getting more email subscribers in an age of Facebook, Snapchat, Twitter, and a million other social networks? Well, despite all that noise, and all of those different platforms, people are still using email as much as ever. And, more than that, once someone opts in to your mailing list they are more likely to engage with your brand again and again. Every time you have a new blog post come out you can email your list and let them know it’s live. That leads to better traffic levels, more shares, etc. If you have a new event or product launch coming up you can put together an email campaign to let people know it’s happening. Instant customer base. An engaged mailing list will happily participate in things like surveys that help you improve your business as well as be more helpful in solving peoples’ problems. All in all, a quality list of subscribers that you have built up through honest, helpful content can be one of the most vital aspects of your blog – and it’ll help you survive and grow your business for the long term. So, why are you deleting subscribers then? It’s crazy to delete so many subscribers if they are that valuable, right? You see, a successful mailing list is not just about the number of subscribers, it’s also about the levels of engagement. A mailing list of 100,000 people is useless if only five people open the things you send out! And while I am genuinely grateful to each and every person who subscribes to my list, there is a downside we need to consider: If you’re not careful, a disengaged email list will actually cost you money, lose you future subscribers, and have a negative impact on your blog. First someone has to stumble across your blog through a Google search, social media share, referral link, or advertising promotion. That person feels that your content can help them solve some problem they are having and thus signs up to your mailing list to get either a free giveaway or get future help from your content. Somewhere along the line, this person will learn what they came to learn and either become satisfied and thus no longer need you, or forget who you are. Once someone no longer needs your content they will either unsubscribe (that’s fine) or mark you as spam. And that is where the problem occurs. Once someone forgets about you because they no longer need your content, there is an increased chance that they will mark your email campaigns as spam because they can’t remember signing up for the list, or they see it as an easier solution than manually unsubscribing. This has a huge impact on how successfully you can deliver future campaigns – especially if your email gets blacklisted. It’s important, once realizing this, that we investigate further and take some action. Let’s take a little look at whether or not we need to delete some email subscribers, and then how we go about deciding which ones. First of all, it’s important to figure out whether you actually have a problem or not. For me, I was noticing a drop off in the open rates of my automatic follow up emails, and then my regular weekly emails to the point where it was starting to bother me. These numbers are still quite good, but whenever something is trending downwards you’ll need to keep an eye on it and figure out why – especially for your more regular campaign emails (my numbers are lower there). 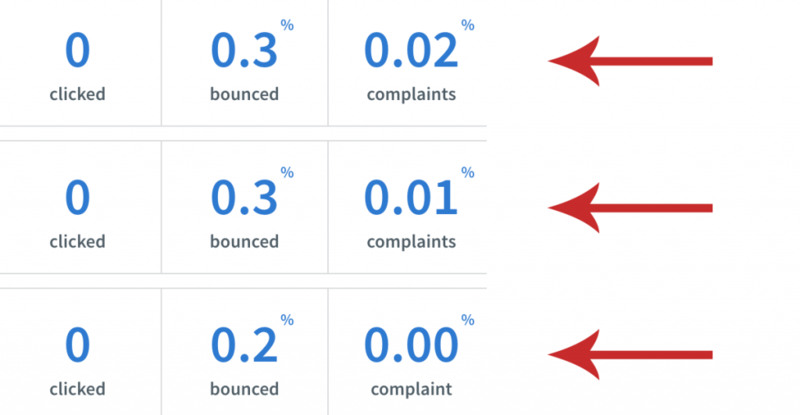 The second thing you’ll want to do is take a look at your complaints rate and see whether there is any noticeable increase. Increases in complaints often happen when people can’t remember signing up for your list, or the content that you are sending out doesn’t match their expectations. It’ll also rise when people can’t find a clear unsubscribe link in your mail outs. Lastly, take a look at how many people on your list just aren’t opening emails anymore. I did a bit of research and decided that if someone hadn’t opened an email from me in three months then I’ve probably lost them, or they’re so good at blogging they don’t need me anymore! At this point you could try a re-engagement email to try and re-energize them, a different style/campaign to generate interest, or just remove the lot. There’s no reason to store thousands of email addresses of people who don’t open your mails, unless you want to keep the large number for social proof. Of course, you want to be careful before deleting any email subscribers (maybe take backups) as they are not easy to win in the first place. And remember, a drop in open rates could be signalling some other issue (like poor delivery, opens not registering properly, Gmail filtering into the junk folder, etc.) and not an issue with the subscriber themselves, so make sure you’ve done your research and be careful before taking action. You also don’t have to delete them completely – you can just move the inactive ones to a separate list that you store somewhere but don’t actually email regularly. I’ll show you the results of my list cull campaign in the next few weeks if you’d like to wait and see that before proceeding with your own list adjustments. Is your mailing list healthy? I’d love to know whether you’ve ever deleted a large chunk of subscribers and how it improved your open and click rates. Let us know in the comments below whether you’ve got any good stories, or any other information that might be useful to people reading. Not an expert but I’ve read that the way that most email servers track “opens” is actually based on if an image is loaded. Thus if you look at text only or don’t click on the “view images” link, you might be opening emails but it won’t get recorded as “opened email.” This deflates your “opened email” stats – if true. I can’t verify if this is truth or internet rumor but my own experience suggests it’s true. I have very low open rates and searched in MailChimp for “didn’t open last 6 campaigns” and got HUGE numbers. Was close to deleting half my list for the same reasons you suggest in this post. However my traffic bump related to email in analytics suggests that far more people are seeing/clicking my emails than the MailChimp stats would suggest. Thus I’ve taken the conservative path and kept them, even though I pay enormously monthly fees for list maintenance. I think that’s wise and is why I’ve included the part in there about making sure people do their own research and have examined their own list. It’s a big pay off between expensive storage and knowing if the emails are actually worth keeping. My email client blocks all tracking pixels by default (and I rarely manually load remote images in emails when I read them), so chances are I’ll be culled along with the 13K, since the data will say that I don’t read your emails. (If so, no worries — I’ll definitely be subscribing again). Yep, this is the exact reason I put the warning in there. It can be quite difficult to tell what’s a “dead” subscriber and what is just not registering as an open. I shed a few thousand back in January. Ran those that appeared in some form of inactive through a 7-email series. Some email systems don’t allow for tracking so I didn’t want to lose active people. Now I track and catagorize by active within last 30 days, 60, and 90. Makes it easy to manually start a re-engagement campaign for a specific set of people. I love you and your efficiency mate! What a brilliant idea. I have never thought of deleting email lists subscribers before. Yep, just make sure you do your research first and don’t rush. I have run into the same issue with my list and what I did was to create a second list. On my main list I have people that have opened an email in the last 6 months and on the second list are the rest. The main list gets great engagement and I try and make sure that I send from a gmail address to make sure that the deliverability through gmail works well. On the second list I mail not as often and from another email address so that I do not have to sacrifice the gmail addresses credibility. Anyone that engages in this second list is popped back up to this first list again and I send re-engagement emails every few months to this second list as well. Very clever. I think some email services do this automatically (which would be nice!). What provider do you use? That’s an interesting take and I am pretty sure that I am going to be included in the list as well. Don’t worry, there will be an email or two going out first. That’s an interesting post. It’s really a bold step to delete your subscribers but I believe that having 1300 well targeted subscribers is better than 13000 subscribers. Yep, it takes a lot of research. Still deciding. Great point you have in checking the health of your email list. As a new blogger I see so much about how to build a list, but not much about truly managing it. I never really thought about how people moving an email to spam instead of just clicking unsubscribe could cost you more in the long run. Thanks Ramsay great post. Learnt a lot too from everyone else who commented. Much appreciated. Thanks everyone for sharing so freely. This article made me curious as a little over a year ago, a company I had done business with threatened to unsubscribe me in a VERY rude email. I had stopped using their services as I was closing my biz down. However, I liked their content and thought that in my next venture I would probably use them again. But after I received an email from them with foul language and them literally telling me to “get off their damn email list” because I was costing them money, I quickly unsubscribed and will NEVER do business with them again. I’m sure they thought they were being clever in trying to clean up their email list but it was unprofessional and just horrible. I say this because there are some people like me, who may be called “free loaders”, who will eventually become paying clients. For me, I am brand new at blogging and slowly building my writing career. Since I’m not generating much income yet (a few $$ here and there), there is nothing with which to pay for all the great services and products out there that I know can help in my business. I don’t apologize for it because right now, my priority is my family, which is why I closed my other business. When the kids are all gone I can hoof it into high gear. All this to say, I understand the need to clean out an email list, but maybe there are ways to get those of us who normally just glance at the content, but still want to receive it, to engage occasionally, just so you know we are watching. One thing I have learned, sometimes the people who watch the longest without being a customer – sometimes become the best customers in the long run. Blessings. Hi Laura. This is a lovely comment and I agree with a lot of it. I am quite shocked that someone would send a rude email to a subscriber. As I said in the post, I’m genuinely grateful for every subscriber and there’s no way I’d speak like that to someone who was just moving on. It’s a bit sad. I was just about to delete 25% of my email subscribers but was afraid to do so. Got some courage to do so. Great read. Hi Sowmay. Why are you deleting 25%? Are you certain about it? Because they had not opened my last 5 emails. Am I doing something wrong? Maybe. Try to figure out why they haven’t opened before deleting anyone. Hey Ramsay! Lately life has kept me engaged and I don’t always get the time to read all my e-mails. Your blog and content is still important to me so please don’t delete me! Hi Eros. Nice to see you. Don’t worry – you’re safe. I recently added a new layer in my welcome series. 1. Someone discovers your website. 3. He needs to confirm. I do things a little bit differently and try to make them engaged right away. Right at the beginning of the email sequence, I explain them I care about engagement and that I want to know them better, that they reply, etc. In the 3rd email they get, they need to click a link to continue. If they don’t, they get a follow-up email with a second chance. If they still don’t, I remove them from my list (I don’t unsubscribe them, I keep them in the shadow, and maybe later will try to re-engage them). I don’t have a lot of data about that yet, but I believe this will increase a lot my engagement, and avoid sending emails to people who aren’t that interested. Love it. When you do get some data please share it with us. I do not open email unless I recognize their personal name, and names are hard to remember. There are a lot of names, but most all names are fairly meaningless. But a good name, such as Blog Tyrant is never forgotten. It stands out. I wish more people would use them. There is only one personal name that I easily recognize. Patel, it is short. Always forget his first name. Personal names do not make for a personal touch, too many meaningless names that look like all the rest. That’s a good point, Ruth. I experimented with using my real name for a while and it worked pretty well. I have a weird one though. [ Smiles ] Unfortunately, a lot of people do not attend to their email accounts on a regular basis. So, it might be a bit unfair to those people who are in the habit of checking their email accounts tardily (Hey, that is just my opinion). Let us hope that genuine and interested subscribers are not affected in the process. That is true. It’s a very hard balance. Hi Ramsay. I’m a new blogger. I have just set up my first blog (thanks to you) in a foreign language (not my own) I’m am near completing my first eBook as the incentive to subscribe (8,000+ words) which required me to first write in English, then translate into the foreign language (Italian), proof read, have my Italian wife proof and correct (the stage I’m at now), re-proof read, then publish. It has been a real slog. My focus has always been to build that subscriber list. This post of yours has been a real eye-opener and has me tearing my hair out further in terms of thinking that all the effort may not be enough. Yeouch! By the way, although I love your work, I must admit I don’t always open your mail-outs. The article has to engage me in some way for me to go to the trouble. Obviously, this one did the trick. I’m glad you’ve found some stuff here useful. That means a lot. Sounds like you’re well on your way with that eBook. Being helpful is so important. Definitely a topic worth visiting especially when we do a lot of hyping around growing our list. That is why when I talk about an audience I try to separate your general audience and your Tribe. Your Tribe is really all you care about. The True Fans who open every email and buy everything that you do. Another aspect of deleting subscribers that I didn’t see you mention is how it can save you money since a lot of email service providers charge by the subscribers. Knocking off a couple thousand could drop you a tier or two. Save money while making the same or more because you are only keeping the True Fans around just sounds like a good business strategy. Yep, agree with that. It sure can get expensive when you’re up in the tens or hundreds of thousands. Many email companies charge based on the number of subscribers you store in their system. The Pareto principle probably holds for email marketing as well (80% of results come from 20% of subscribers). Therefore, I feel comfortable culling out any subscriber that has not clicked a link after some defined period. However, Aweber does not make it easy to identify this group. I do wish they automatically did a lot of this like Get Reponse does. Yes – I saw that feature. People not opening messages is a different population that those not clicking links. The link clickers are where the gold is. Since many email hosts disable pictures the not opened flag is unreliable. On the other hand, link clicks is very reliable – just hard to isolate on Aweber. I have thought about it many times! Deleting emails from people that don’t seem engaged anymore. My list is small so is not costing me anything at this point. But what I have noticed is that every once in a while I see old clients returning to my classes (I am a yoga instructor and health & wellness coach) or join a workshop because of a newsletter I just sent out. And that’s what kept me from deleting anyone so far. I have about 50% of clicks when I email my list. Also, I know just like Laura mentioned above, I have people wanting to read about spirituality, yoga, and health and keep watching from a far. They are not paying clients at this point and perhaps will never be. But to me that is not the end goal here. As long as I can serve someone with giving them insight with spirituality for their own life or other, I have done my job and it is fulfilling. There will always be enough clients out their that will actively participate so my business can support my life. It has happened to me too where people spam me instead of unsubscribing, when I very well know they were happy to receive my newsletter but on a whim they decided they never wanted this… or whatever they thought. That’s why I never send newsletters more than monthly. I find it annoying and impossible to keep up with those emails news/blogs that are sent everyday or sometimes several times a day. It’s frustrating b/c I want to be on their email list and I like to read their news but I can’t read it all! This is one of the thing I appreciate with your blog Ramsey, is that you don’t overload us with reading materials. I may not read each blog post but I always check out the title and small description to see if I want to fully engage. I think if you aren’t seeing any negative aspects then there is no point in deleting people. I guess the problem is when your list starts to get larger and people start marking you as spam and thus affecting your ability to reach new people. I’m sorry you find the site boring, but appreciate the feedback. Good afternoon. I work in IT and just wanted to mention that we automatically disable all images on incoming emails. You can click to see them but most do not. A lot or organizations do this from server side so I wanted to mention it for you or anyone else. It should be a factor you consider in your evaluation. Have a great day! Yep, I mentioned that in the warning section just in case people didn’t realize how opens were measured. It seems such an old-fashioned way to measure it – I feel like there must be something better by now. Does your organization do that for any particular reason? Yes, we do it supposedly to prevent malware. It keeps users from just clicking any pretty picture. Many of our users still fall for phishing scams so it’s probably a wise decision for us. Our blog is only a few months old, so still trying to attract people and build a list. However, your article makes total sense and can’t wait to be in a position were deleting a few thousand subscribers is an option. Ha ha. I feel like this whenever I start a new blog! Ramsay, +1 to your logic. I recently cleared up about 20% of my list for non-engagement (over 6 months of no open-action on my emails). I did send them an email as a last attempt to engage but with no response, removed them straight away. It is a psychological effect as well that you feel more relevant, connected and effective. I am with Mailchimp and one thing I didn’t like is that my email ends up in the “promotion” folder by default. Do the other services like Aweber, ConstantContact etc. do the same? Any experience or feedback welcome. Thanks. Yep, it is a big issue. I recommend adding something to your sign up process where you educate your readers to white list your email and/or remove the tabs in Gmail. Fair. I didn’t think about that. Thanks for informing Ramsay. I too am a newbie blogger and have gleaned a Ton from your emails and website. I had no idea that by not opening an email that I was a bad lead. I was happily storing the information for future use. In fact by a mistake my inbox is stuffed with tons of mail from everyone instead of the most recent and thousands have not be re-opened. I don’t know how that registers with the email service. I am aware that you pay per chunk of persons so I dutifully get myself off as duplicates and those websites I don’t want to bother. Good to learn about not responding from within the message as well as not opening it. I have too many interests that I try to pursue in every direction they lead me, so I run out of time to read all the messages thus the thousands of unopened messages. I, too, hope you’ll keep me on your list. Hey Anne. I’m really glad you enjoyed it! Anyway, I haven’t sent one out for about 3 weeks now as out of my small list of 1500 or so emails I got a complaint notice from mailchimp three times in a row! So far I’ve tried completely shaking up the format of my email and taking a close look at my title. What I did notice that was the complaints mostly came from email addresses that looked particularly spammy, with unusual domain names and a bunch of seemingly random letters and numbers rather than the usual John@ format. Anyway, I’m thinking of starting with reconfirming the list today. Your blog post couldn’t be more timely! Hi Alex. How many complaints did you get? I wouldn’t worry about one or two. I don’t have enough subscribers to worry about this, yet. However, it’s never too early to begin learning about analyzing subscriber lists in order to understand what’s really going on. I’ll be referring to this post and all of the helpful comments in the near future! Thanks, Ramsay. Thanks a lot for this eye opening article! I have recently started building list and most of my subscribers are reaching through my solo advts effort where I promote some lead magnet. I have a question to ask. What rate of opening you consider is good enough ? 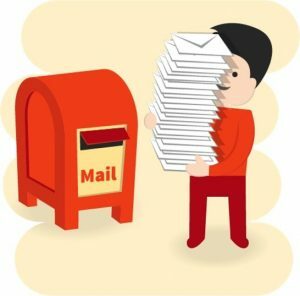 As you mentioned in the article that the rate of opening decreases as the time goes or with follow up emails, but sometimes I could find that it is increasing even for certain mails. But still open rate is very discouraging for me . Please let me know what percentage of opening would you consider is good enough? It is really different for every industry, and even different for blogs within the same industry. For example, Glen from ViperChill gets a massive open rate of like 60% whereas mine is between 20% and 30% and sometimes less. It’s also different for different types of traffic. Subscribers that you get through ads often aren’t as active as organic traffic because they weren’t as “buy ready” when they found you. It wasn’t as “natural”. I’d do some research and ask other people in your niche and then just try and make it better each time you send. Thank you very much Ramsay! It provides me very useful insight into list building topic. Now I am concentrating much on receiving organic traffic rather than the paid traffics. Anyway my niche is “Making Money Online”, and present open rate after 5 to 6 mails are 10% -15% only on an average. And as the list is small I have not deleted any name from my list till now. How are you doing today? Hope you’re doing great! Well. It’s an amazing post, and I love it. We all spent lots of time and invested much money for capturing more emails to our list. Me, too, want to delete some of inactive subscribers from my list. I don’t think I need millions email of subscribers, but just some of them who love to read my email and article. Just make sure you are certain before deleting anyone. I have only 200 Subscribers yet that is because the blog is 3 months old and I notice I usually sends email once in a week but, Only 43% of them opens and I usually gets 1 unsubscribe as a gift. For now, I think I dont need to worry on these thing as my niche is different so, planning to make it bigger with the help of subscribers. I will definitely put this for my future consideration or should I start removing now? I was thinking of deleting a part of my email list but took your advice and did some research. Well, I decided that as long as my subscribers didn’t mark my email as spam it was ok to keep them. Some people open my weekly newsletter once in a few months. When I ran a blog for a shop I used an series of incubator lists for new sign ups. Most new sign ups from retail do it because they want a specific offer and have no intention of reading the blog. The incubator lists would get the same emails, but because I they were in a separate lists I could monitor their engagement and had a six no’s and out rule. These sign ups would regularly unsubscribe by spam – and I get it, because in a way it was like that! They want the offer but not the mails. Wow so relevant to me Ramsey. My last post i used the F word in the title, yep I was dealing with some stuff. Anyway I got a message from my husband telling me Mailchimp was upset by something. I then got a ‘Compliance Warning for high Abuse rate’ from Mailchimp….. imagine, me who never swears normally and the very first time I do I get a Warning arghh. I then got a request to ‘reconfirm my list’…..not a clue how to do this?? I’m not sure what I did, I’m not sure how to fix it, and felt like the ‘Big Foot’ aka Monty Python came down on me. I’d talk to MC about that one. Not sure what it would be. What a shocking headline but I’m glad to know it. Great information I never thought of! I have subscribed to your blog about a year or so. I think your blog is very helpful, even though I still haven’t started my blog yet. Maybe because I’m afraid of writing. However, I just want to tell you that I might be the one who has received your email but have not had a chance to read it right away but I will keep it for reading later on. You are one of the blogger whom I thought is very sincere and nice to connect with. Besides, everyone in this community are so friendly and share his or her knowledge/ experiences very openly. That’s why I want to stick around with your community. This is the first comment online I have ever had. Thanks for your great article. I really enjoy reading it. Getting marked as spam is the big reason you should delete unresponsive subscribers – if they don’t actually read your emails they might be nice and just delete them without reading them at first, but eventually if they get tired of seeing them they might just mark them as spam so they’ll go to their spam box instead. This tip is actually really useful! It wont really affect me personally, because I only have 150 subscribers, however if I ever trust my emailing campaigns for my businesses KPIs, i’ll definitely have it in mind. Counterintuitive at first blush, but totally makes sense. Thanks for the insight! These are some great insights to keeping your email list healthy. I remember the first time I read about deleting subscribers. I thought it was so ridiculous. But it didn’t take long to start making sense. I’m laser focused on growing my list right now. It’s my biggest priority. It’s small, but growing. I think a healthy list is so important. Great article Ramsay, I love your thought process. When trying to re-engage email subscribers, have you ever tried reaching them on other platforms? For example, exporting that segment of subscribers and creating a specific Facebook Ads campaign to re-engage them. For people who have changed their email address, or emails are going to promotions/spam folders without them realising, this method can sometimes work in helping them re-discover you. It could be to much coming in for one person to handle. But there some really great tips here… even in the comments. You have one of the most well-informed blogs on the Internet. I never imagined that deleting subscribers would ever be an option in anyone’s book but your logic behind all of it makes perfect sense. I am going to subscribe to your blog, its very useful content. Why do you close the comments on your previous blog posts that are old? I am new to blogging so I would like to know the reason behind this? Hi Ava. It’s mostly to prevent against a massive amount of spam. But also I think it has helped to get more comments on new posts as people look for a place to chat.